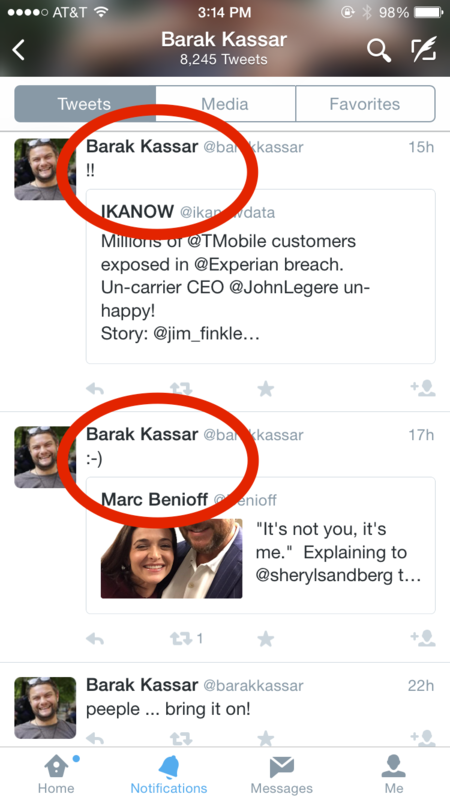 This is Barak Kassar. He’s the founder of the digital content marketing agency Engage Rassak. He followed me on Twitter one day, so I tapped over to his tweet stream to see what he was all about. Immediately I saw these Quote Tweets, and saw that he was an engaging guy who cared about showing others his opinion of a major event. Even if in brief, he took the time to personalize the Retweet. I liked that. It helped me “get him” a little faster, and I followed back, looking forward to reading his tweets.